Monrovia – Liberia’s three representatives at the ongoing 2019 Special Olympics World Game in Abu Dhabi, the United Arab Emirates, have all won gold medals. The Bronze medal is Assaf’s second medal and Liberia’s fourth medal in this year’s Special Olympic Games. Over half a million people including athletes, coaches, officials, volunteers and delegates from over 194 countries are currently in Abu Dhabi, UAE for the world’s sporting event. Liberia’s participation at this year’s Special Olympics Games was supported by the Government of Liberia, through the Youth and Sports Ministry, who’s Deputy Minister for Sports, G. Andy Quamie, is representing the government at the games. About 7,000 athletes are participating at this year’s World Games. 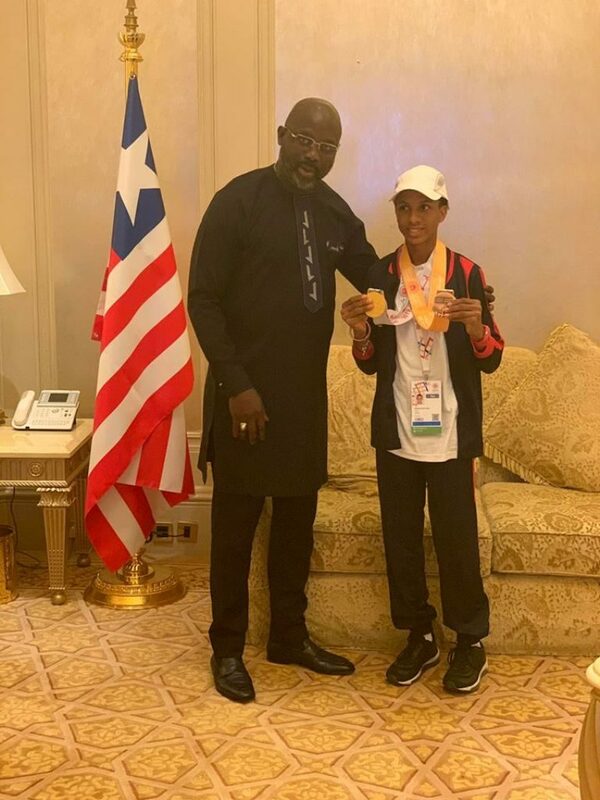 Meanwhile, President George Manneh Weah took time off his visit to the UAE to meet with the Liberian gold medalists. He congratulated all of them for their exploit and what they had done for their country.